One of the UK’s leading services contractors has appointed Apex Wiring Solutions as its modular wiring supplier for one of London’s most prestigious new office developments. Overlooking St Paul’s, 4 Cannon Street, is being rebuilt to create a prominent development in the heart of the city of London. Designed for maximum sustainability, the building will become new office space, complete with cutting edge technology and stylish interiors. Apex Wiring Solutions will deliver lighting and small power for the development. Operating within an extremely tight programme, Apex is the perfect choice due to its ability to supply rapidly, ready-to-install package-free modular wiring. With full CAD design responsibility, Apex is ready to manufacture and supply its patented Evo lighting and power system to suit the complex lighting layout as well as providing power to FCUs and audio/visual feeds. Apex has also provided the lighting control wiring infrastructure as part of the system interfacing closing with the lighting control company. 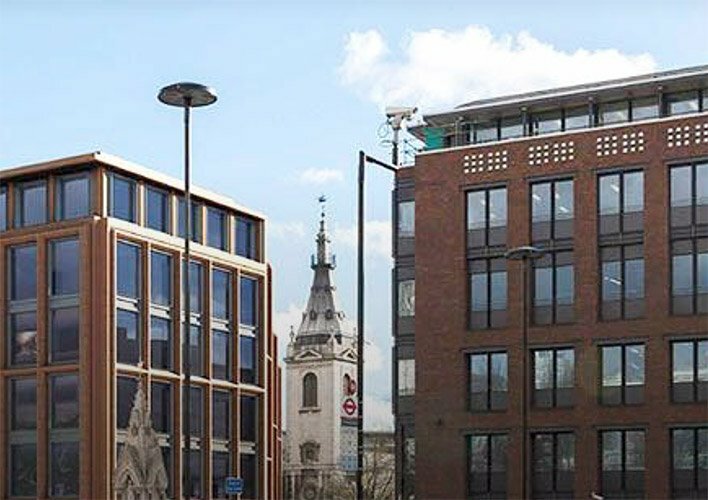 Apex Wiring Solutions Sales Director, Paul Hopps, said: “Agility and our ability to deliver quality solutions rapidly is why Apex is so successful in winning projects such as 4 Cannon Street. To find out more about Apex Wiring Solutions products and services, please contact us.